۱- با کلیک روی آیکون چرخ دنده در گوشه پایین سمت چپ پنجره اصلی در کسپرسکی اینترنت سکیوریتی ۲۰۱۷ وارد بخش تنظیمات (Settings) شوید. چک باکس Disable scheduled scan tasks while running on battery power را فعال کنید. 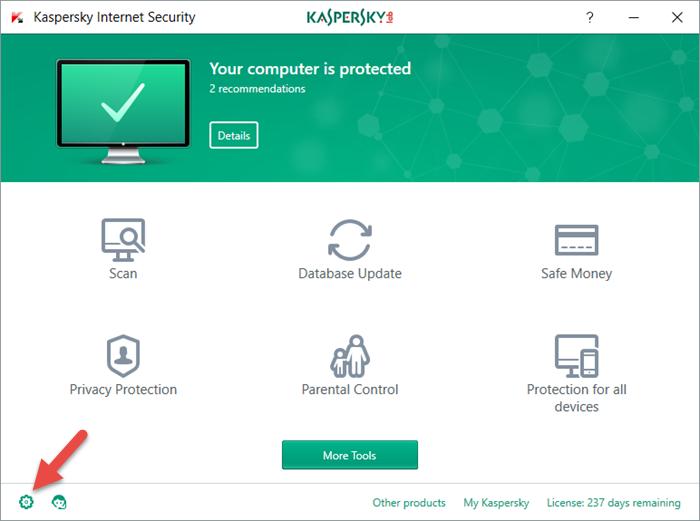 چک باکس Automatically disable some Kaspersky Internet Security functionality (such as notifications) when applications are launched in full-screen mode را فعال کنید. چک باکس Concede resources to operating system when computer starts را فعال کنید. 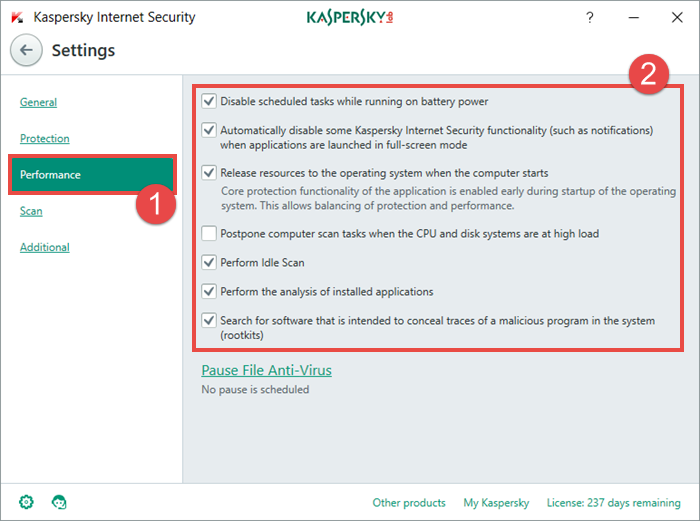 چک باکس Postpone computer scan tasks when the CPU and disk systems are at high load را فعال کنید. چک باکس Perform Idle Scan را فعال کنید. چک باکس Perform the analysis of installed applications را غیر فعال کنید.